To connect child caseworkers with the information they need to do the best job possible for children in care. We’ve partnered with The NSW Department of Family and Community Services (FACS) to trial a new approach to helping caseworkers continuously improve their work with vulnerable children. This is part of a broader suite of reforms in NSW designed to strengthen the child protection system. In order to make the best decisions for the children they work with, community services caseworkers need reliable information about what’s going on in their lives. For example, how are they doing at school? How is their physical and mental health? How strong are their relationships? Because this information can come from many sources it can be hard to access in a systematic way, making it difficult for caseworkers to get a comprehensive picture of how each child is faring over time and what difference services are making. Consequently, the department commissioned us to design the Out-of-Home Care Quality Assurance Framework, which embeds this much-needed data into the way caseworkers do their jobs each day. 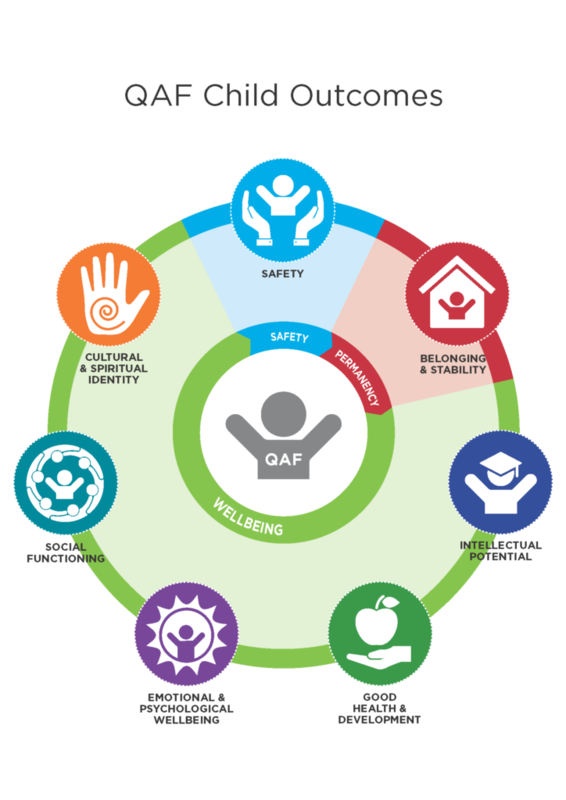 The framework, which we developed with The University of Melbourne, identifies the key outcomes on safety, permanency and wellbeing that should apply to all children in statutory out-of-home care. We are working with the department to see how the framework is affecting its systems and processes. And the results will help inform its decisions on how to tailor and implement the framework more broadly. Agencies working with vulnerable children are already familiar with collecting data to monitor the safety and permanency of children in their care. But collecting data on wellbeing will be a new venture for many. Eventually, the framework will mean caseworkers can access regular, real-time reports based on information from administrative data (health, education, community services). And this will be combined with reports on wellbeing from carers and from children themselves. But it’s important that the caseworkers collecting the information – and those providing it – don’t find the process a burden. So the trial is also assessing the impact of collecting this data. We have worked with the trial sites to train caseworkers in all aspects of the framework. This includes administering wellbeing screening tools and understanding the data as it comes in. We’ve also developed systems that help us learn from agencies about the strengths and challenges of using the framework. As a result, we will be able to continually improve and update it. Once the trial is complete in December 2018, we will gather information and lessons learned to help the Department develop a plan on how best to implement the framework statewide.